Triple Crown Champions! 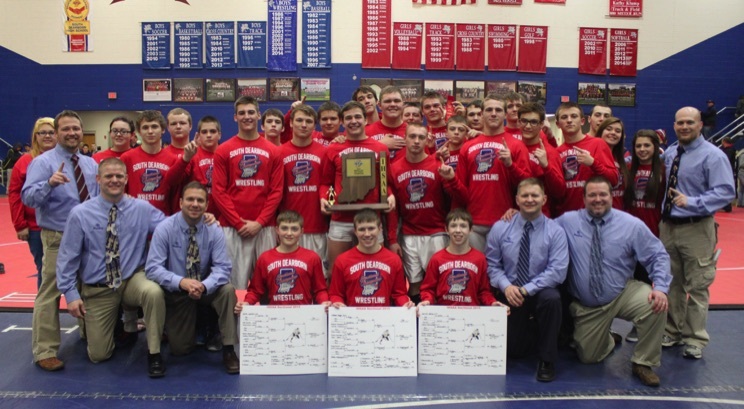 South Dearborn captured their second triple crown in school history by winning the Regionals in Richmond. Coach George Gardner challenged his wrestlers to win every tournament and capture the Triple Crown. The Knights did exactly what their coach asked of them, they won the Conner Invitational, Knights Classic, EIAC Title, Sectional Title, and yesterday captured the Regional Title!